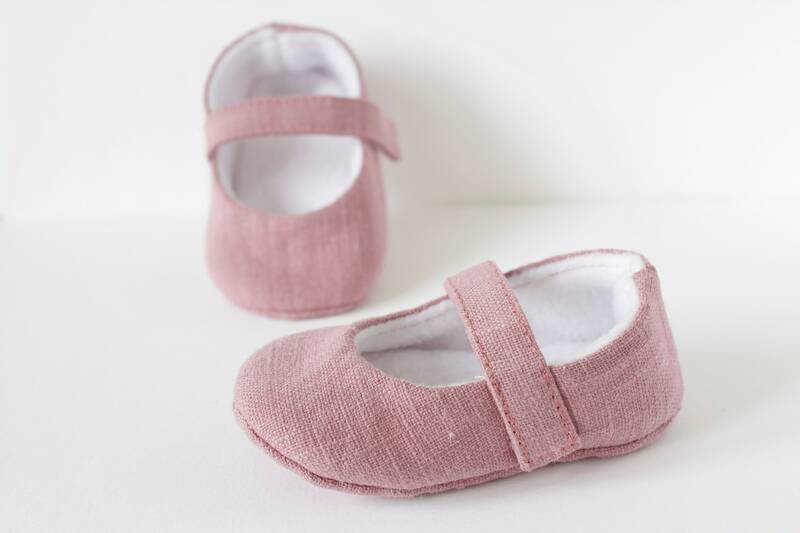 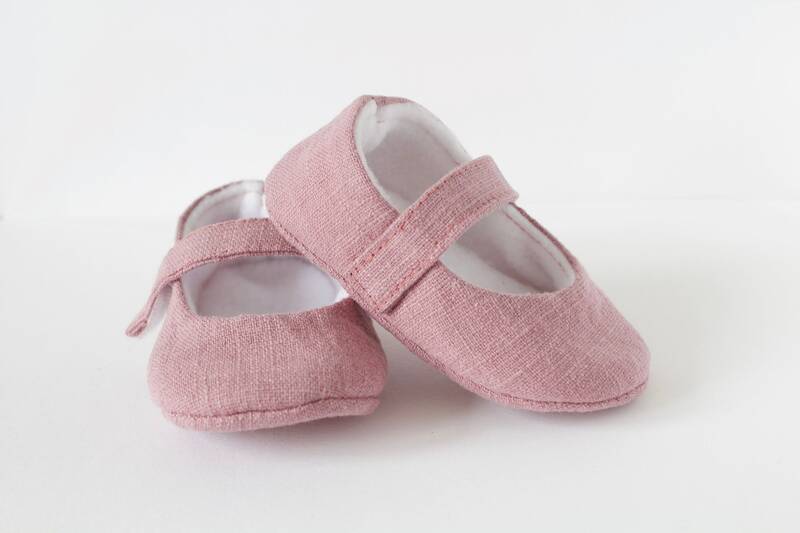 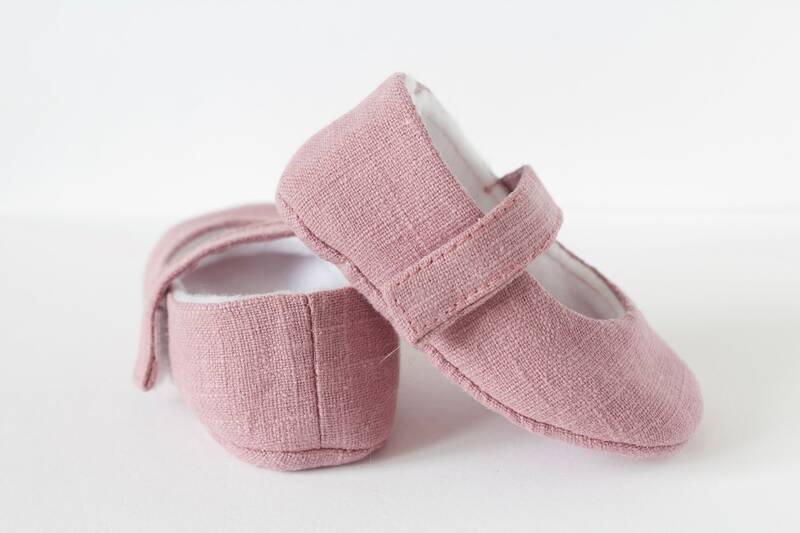 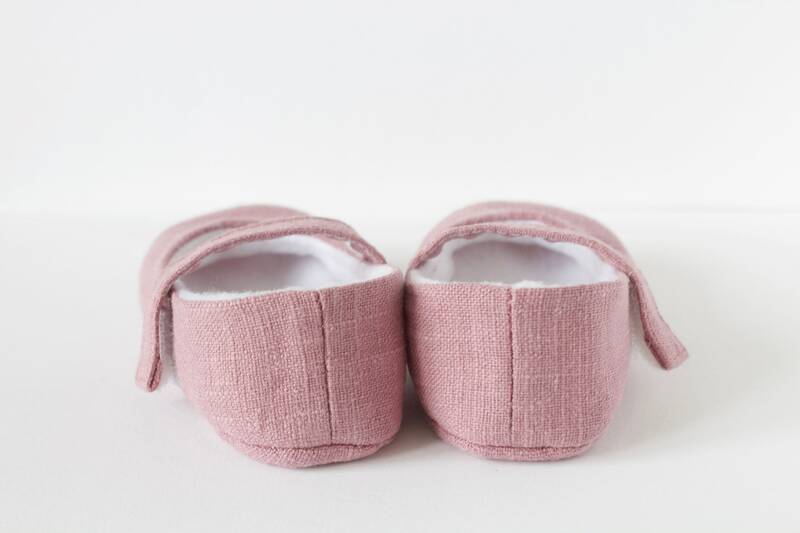 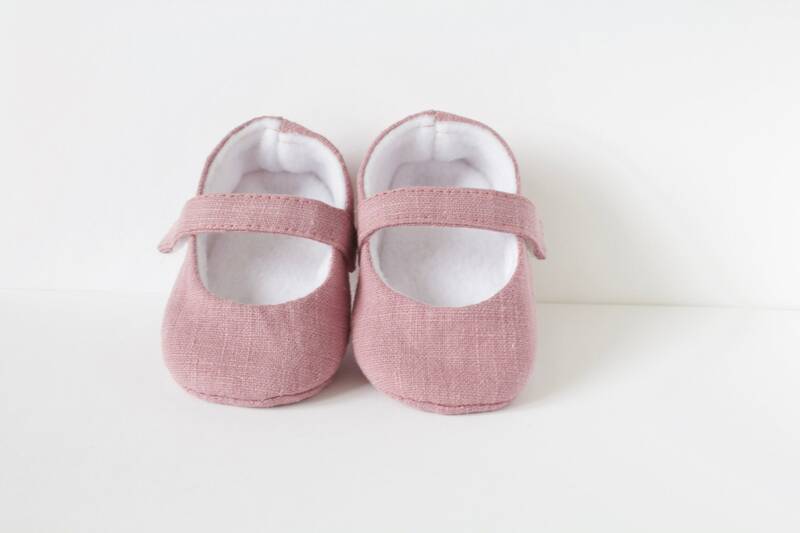 Baby shoes, baby girl shoes, Pink linen shoes, baby Mary Jane, Dusky pink baby shoe, Mary Jane girls shoe. 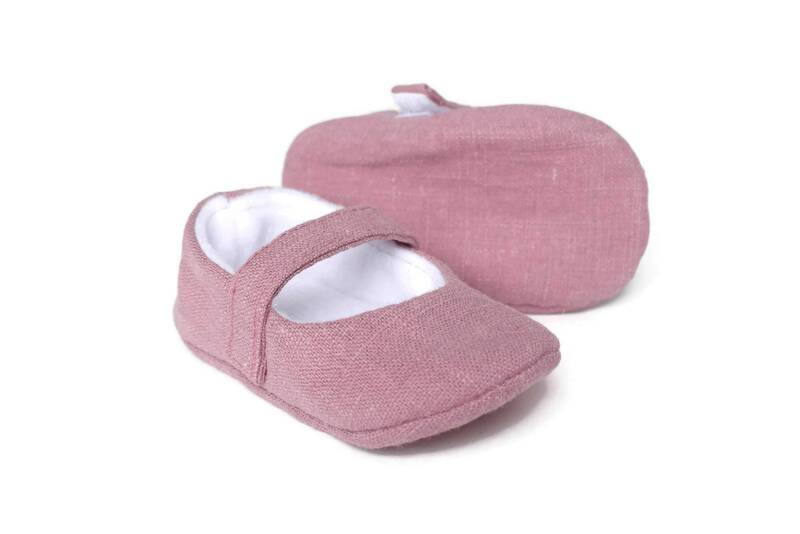 Mary Jane baby girls shoes, with fleece lining. 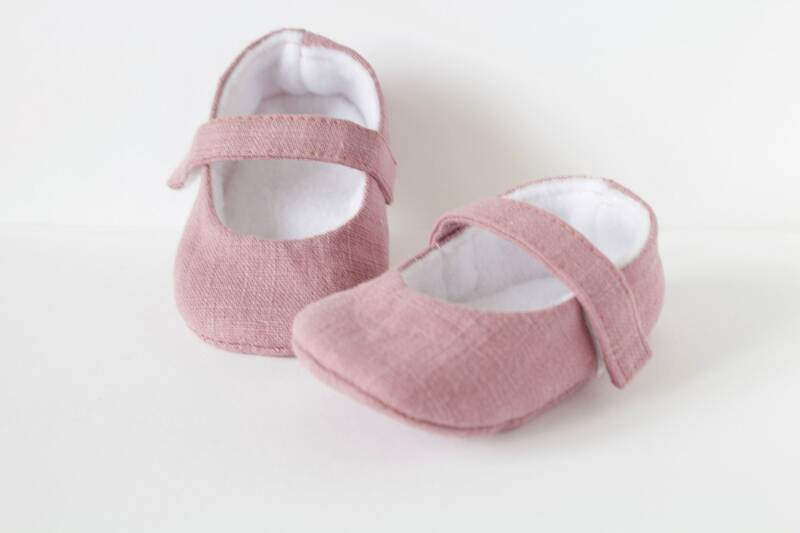 The size 4 and 5 will have a non slip sole if you would like this sole on another size please let me know, there is no extra charge.